Located in Delaware County, PA, Rosen Interiors serves customers in their homes in Delaware County, Montgomery County, Bucks County, Chester County, and the Main Line. We also serve parts of New Jersey and Delaware. 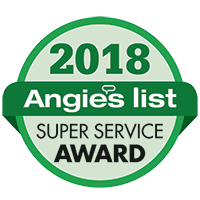 Our services always begin with a complimentary consultation in your home. During our visit, we’ll assess the state of your furniture and offer our professional advice on coordinating the material to suit the rest of your room. To begin, just fill out the contact form or call 610-565-7756. 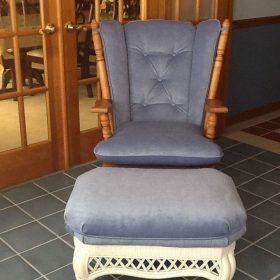 Chairs can hold sentimental value, but they don’t last forever. 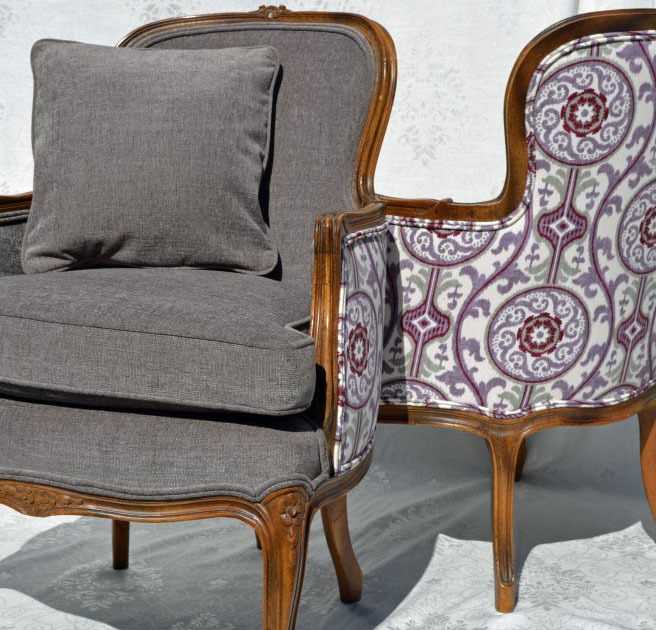 However, if you have a well-loved chair or stool that’s looking worn out, there’s no need to throw it away when reupholstery is an option. 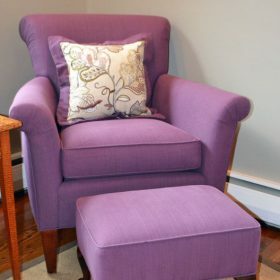 Reupholstering your chair or stool will give it new life, and will allow you to hold on to your well-loved piece and forgo the stress of shopping for a new one. Reupholstering is a craft that requires quite a bit of skill, but our experienced team is up for the challenge. Rosen Interiors has been in business since 1947. We can work with you to deliver the finished product you have in mind. 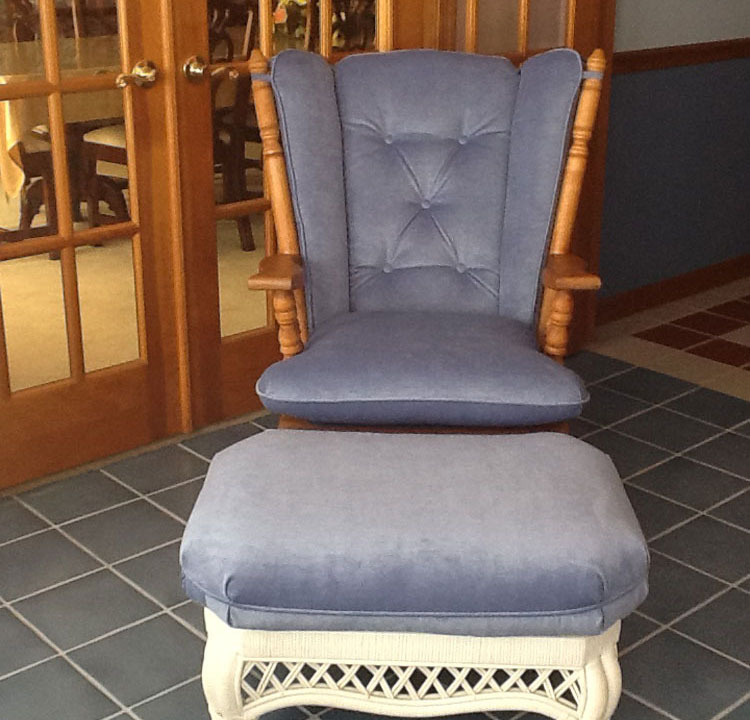 In our 65+ years in the business, we’ve worked on all types of chairs and stools. 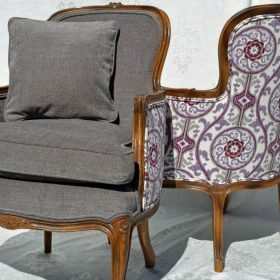 Club chairs, wing backs, and recliners of all styles can all be successfully reupholstered. Finish your chair or stool in your choice of fabric. We can use material that you supply, or you can choose from our vast selection. We stock hundreds of high-quality cottons, velvets, textured weaves, linens, and chenilles. 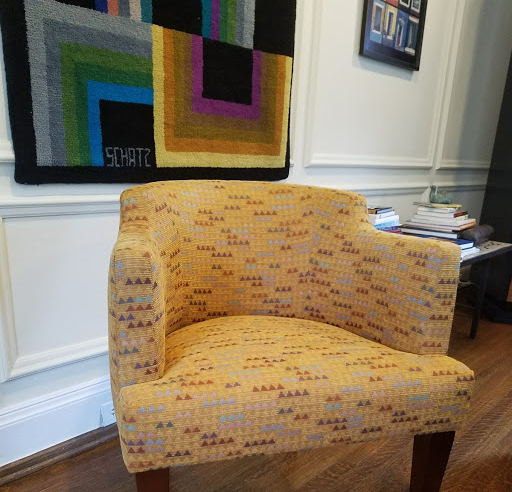 If you’re unsure which type of fabric or color will look best in your home, our professional designers will advise you during your in-home consultation. 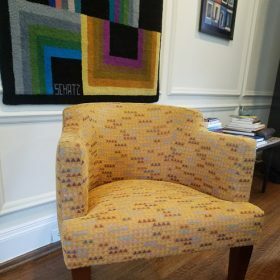 How long does the upholstery process take? Usually, our projects take between 3 and 4 weeks, from our in-home consultation until your items are completed. The process may take longer or shorter, depending on the availability of fabrics. What types of fabrics do you use? We have an immense selection of high-quality fabrics, available in solids and a variety of patterns. Can you change the style of furniture? 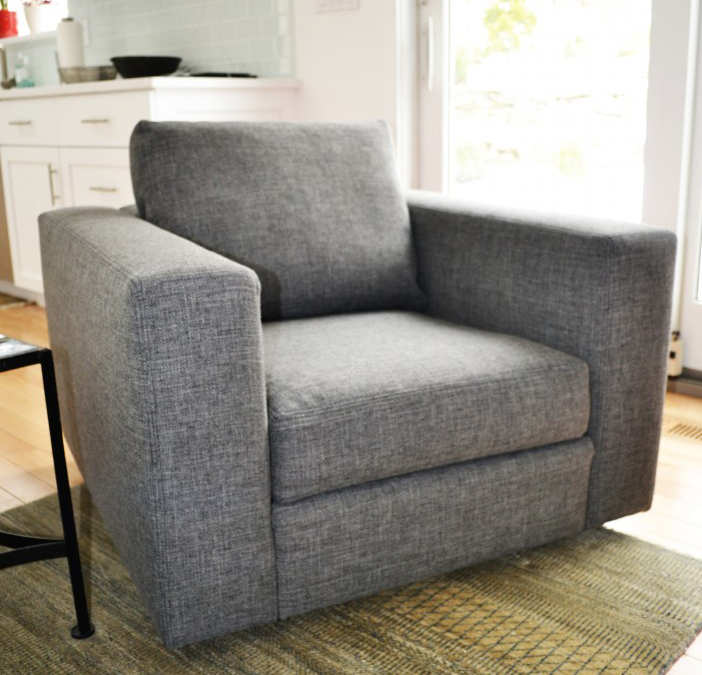 Using upholstery, we are able to make adjustments to the style of your furniture, within reason. 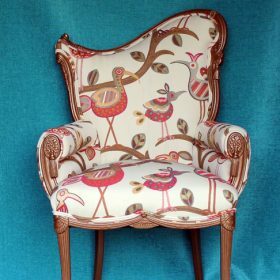 We are skilled at updating furniture to match its original style as well as in making alterations.